A federal judge in Seattle upheld the IRS in a closely watched FBAR penalty case. Very few FBAR cases make it to federal court. Most are resolved at the IRS appeals level or in U.S. Tax Court. Earlier this month, a U.S. District Court judge found that the maximum penalties imposed against taxpayer James Moore did not violate the Due Process Clause or the Excessive Fines Clause of the U.S. Constitution (5th and 8th amendments). The court also found that Mr. Moore demonstrated no “reasonable cause” for his failure to file FBAR forms. Since the early 1970’s, U.S. taxpayers with an interest in or signature authority over an offshore account must report the account to the government. The reporting obligation commences once the aggregate value of all foreign accounts exceeds $10,000. Reporting is done on Schedule B of the individual income tax return and on a Report of Foreign Bank and Financial Accounts — FBAR for short. According to court records, Moore participated in the 2009 Offshore Voluntary Disclosure Program, an amnesty styled program designed to give taxpayers a break on penalties for voluntarily coming forward and reporting their accounts. For nonwillful FBAR violations, the maximum penalty is $10,000. Willful violations carry huge penalties of up to the greater of $100,000 or 50% of the highest account balance. The penalties can be levied for each year an account is unreported. The IRS assessed 7 years worth of penalties against Moore. Moore argued that his tax lawyer never told him about his obligation to file FBAR forms but the court wasn’t impressed. In upholding the penalties, the court ruled that Moore failed to exercise ordinary business prudence. Specifically, the court said the question on Schedule B of Moore’s tax return should have clued him in on his offshore reporting requirements. That question asks if one has interest in a financial account located outside the United States. All wasn’t lost, however. The court found that the IRS never provided Moore with the ability to administratively appeal the penalties. Unless the IRS can offer the court an explanation for that failure, the penalties may still be tossed. Although the case is far from over, the court has ruled on behalf of the IRS on the important Constitutional challenges. Moore may win the battle but taxpayers are losing the war. With 50% penalties possible, having an unreported FBAR is a big deal. 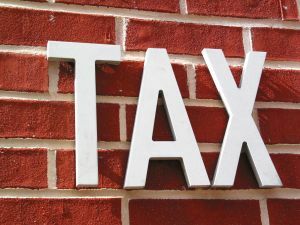 If you have one or more years of unfiled FBARs, consult with an experienced tax lawyer immediately. Unlike CPAs and enrolled agents, only tax lawyers enjoy the attorney – client privilege with their clients. The IRS can subpoena an accountant to testify against a client but can’t do so with lawyers. or by telephone at (414) 223-0464. All inquiries are kept confidential. IRS services provided worldwide.